Discussion in 'Shipper Central' started by HellsBells, Apr 8, 2009. Here you guys go. Remember the rules when posting, and enjoy posting. I love the new title:drool: for GSR thread and try get on here more. I wondering you all had be on the JFO.Net about JF wrote/send note "Thank You for the CASA Pic/cheque" to the website. Well it tell you a bit about GSR and a small important part from JF (Sara). I dont know can you if ok to post the link or to how do pm on here so can send it to you. I made this really nice GSR Collage Yesterday but its Too big to post :shifty: and i haven't exactly got enough post to even change my avatar but im getting there ....Slowly. Then suddenly i became a lurker, and i never got the chance to vote for the poll. Sorry guys but i did not left you i am just reading you from afar. Now we have a new one and i have to post in my congratulations for reaching #35. Way to go team! GSR all the way. You know I was having this nostalgic moment that it has been 4 years since i got hooked with GSR... then CSI... and now GSR no longer in it (yet im still hoping to come back), then the fantasy continues at reading some beautiful gsr fic. We got lucky GSR happened and we felt heaven. But then our favorite characters decided 'it's the right time to go'. It hit me, it made me realize that 'from then and now' has been a long time for me and a wonderful journey. We have come so far. How to put an end something so good and beautiful? Time will tell. ANd until then, let's continue and hope for great things to come. Enjoining everyone in the celebration of Easter Sunday! Oooooo, a sparkly new thread! I like the picture with "The Grissoms" in it. :lol: I don't know that I could call her "Sara Grissom". Weird! 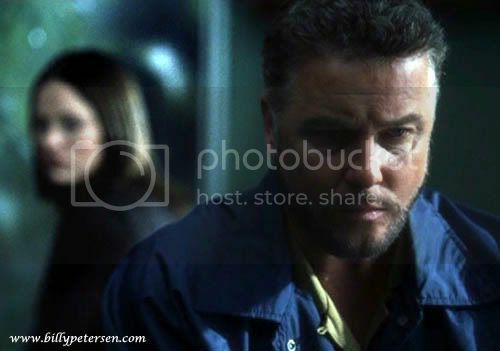 Besides, she'd probably keep her last name and continue calling him "Grissom". Can you imagine Sara in a full wedding gown? That'd be... I dunno, not her style. I think she'd get married in the same outfit he found her wearing in the jungle in their last episode together. Maybe not in a full-on fairy tale wedding gown, but I can imagine her in a dress like the one the redhead in this picture is wearing (ironically, at a Disney wedding gowns show), or something like this, or this. There are wedding gowns for everybody. Maybe she would be Sara Sidle-Grissom. On the subject of marriage, I really could see Sara getting married and changing her name to Sara Grissom, or as Hadapurpura said Sara Sidle-Grissom. I could also see her in a wedding gown, though knowing Sara it wouldn't be anything greatly fancy, just enough for the event. I could see her in the same gown design as Desert's manip. Or maybe something like this? Or maybe even something like this?